If your home remodeling project has new tile flooring at the top of the list, your next step will be to discuss with your general contractor in Las Vegas what specific product material and design is best for you. 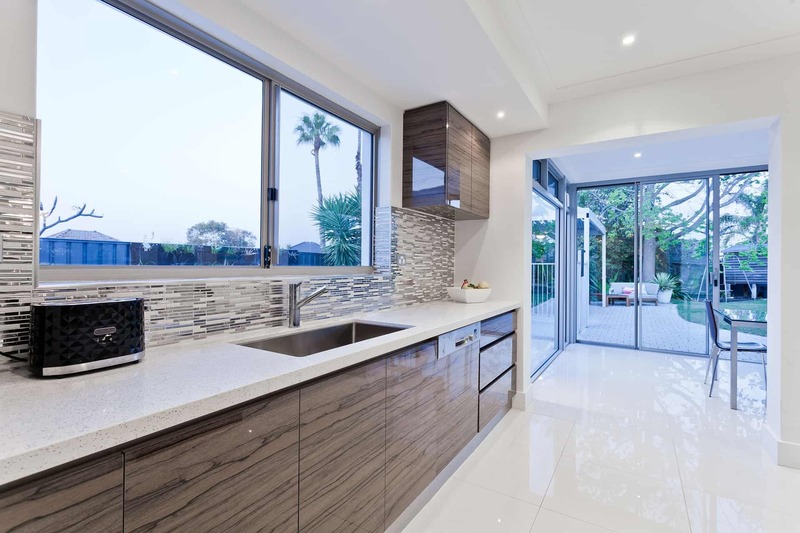 Kitchen remodeling and bathroom remodeling are two of the more popular home renovation projects, so you want to be sure what you choose is in sync with the latest designs in the world of tile. Subway tiles are very popular, as they present a classic, clean look for your space of choice. Whether installed horizontally, vertically, or in herringbone patterns, subway tile gives your bathroom or kitchen a fresh new look that is universally appealing. Subway tile comes in a range of colors, finishes and many sizes. High-quality materials such as marble, travertine and glass are some of the popular choices for this style of tile. We can’t say enough about Vintage tile and all the amazing things you can do. First of all, vintage tile is one of the hottest trends in home remodeling today. Vintage tile is being showcased on home styling shows and at home renovation events across the country. Vintage and patterned tiles have never been more popular and are continuing to grow in popularity in the world of interior design. Vintage tile brings us back to the past with joyful colors and playful patterns. Vintage and patterned tiles give you the opportunity to make your floor, wall or accent areas into a piece of art. Vintage tile also lends itself to the increasing more popular “rugging”, which is simply a floor tiling trend whereby patterned tiles are surrounded by plain tiles; thus creating an interesting block which appears like a rug. 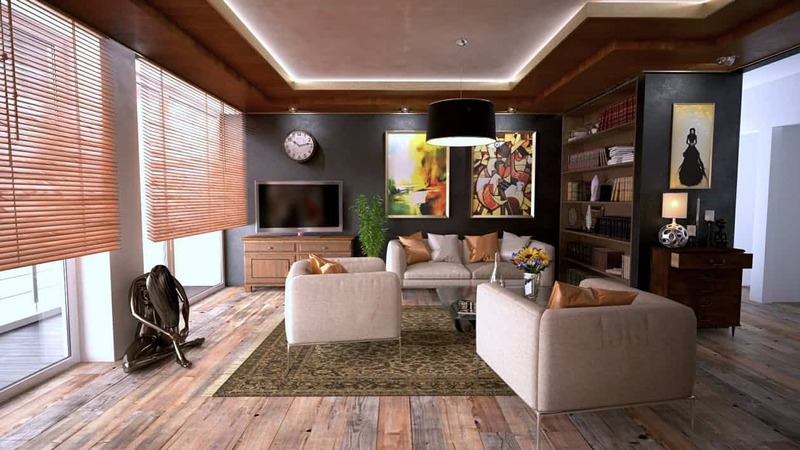 Terracotta flooring is known for its old-world, earthly feel. It is also popular for its toughness and durability, providing years of comfort and beauty. Terracotta flooring is available in many shapes and sizes and is suitable for both inside your home and outdoors. Whether you go with a contemporary design or traditional design, either will complement your home with a rustic ambiance for years to come. One of the more popular trends in flooring installation today is tile that resembles wood. This has been increasing even more in popularity as improved technology has made the wood effect more realistic than ever before. 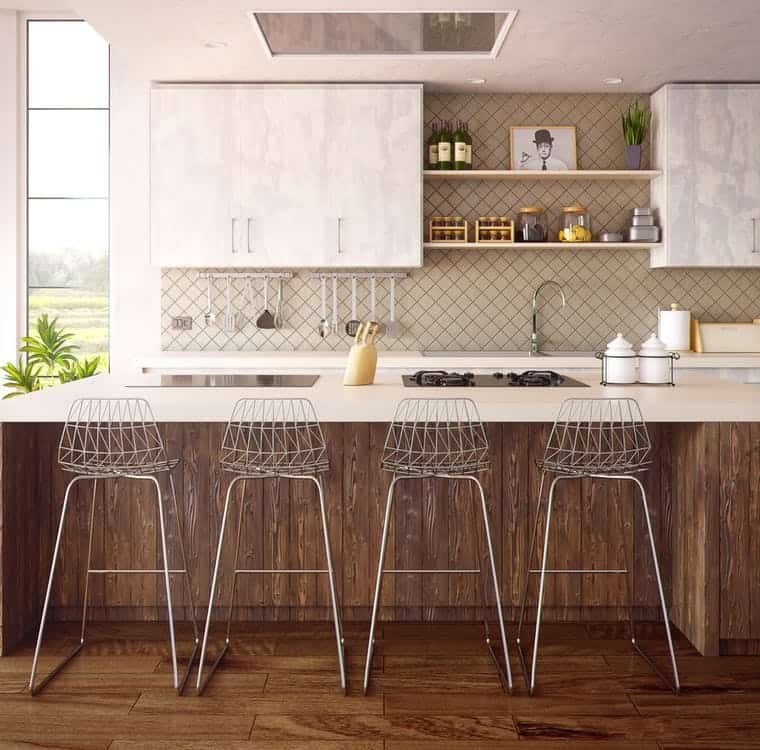 Applied to porcelain or ceramic, there are many styles to choose from such as rustic, distressed, weathered/reclaimed, modern, antique and parquet. There are many kinds of textured tile in the market today, but one that is standing out in the list of trendy tile is the split-face slate tile. Made from natural slate, it consists of strips of different heights, widths and depths and bonded together to create a staggered, multi-leveled face. For a textured feature on areas such as walls, kitchen backsplash, island, shower, fireplace surround, or patio area, split-face slate will add an organic characteristic and bring wall space to life. Split-face tile also is available in other materials should you prefer something other than slate. This tile is made of mixing marble, granite, quartz or glass chips into a cement binder then polishing until smooth. Terrazzo is a cost-effective, attractive tile providing endless canvas of colors as well as being one of the more durable tile products on the market. Whether on your floor or countertops, Terrazzo tile is a beautiful compliment to your entire home design. The days when concrete could only be found on sidewalks is over, as installing concrete tile in the home is one of the biggest home remodeling trends this year. Concrete tile presents a beautiful raw texture, and is a fashionable choice for indoor flooring. The finished surface of colors, stains, aggregates and textures are not only beautiful, but extremely durable and easy to clean. This choice of flooring can also be buffed until glossy. Concrete flooring resists water when properly sealed, and the surface absorbs heat to cut energy bills. Concrete floors are also flood/fire resistant. Penny round tiles are especially trendy for bathroom remodeling as they can easily spruce up your bathroom decor. You can create patterns, mixing penny tiles of various colors. Even keeping to one color with a contrasting grout–for instance white tiles with black grout is an eye catching textured look. Penny round tile is not only attractive for flooring, but also for walls or accents in shower pan or shampoo niche. Another trend in the tile world today is both the Chevron and Herringbone design pattern. Whether you choose to have this design for your tile flooring–or for example a wall in the bathroom/kitchen–tile set in these patterns produce a spectacular effect. Sometimes identifying which pattern is which is not easy. For Chevron tile floors, the material is cut at an angle and fitted together to form a sharp point and the pattern is continuous. Herringbone on the other hand, is created by placing rectangular cut tile in a broken zig-zag pattern. Either is a beautiful design and sure to impress everyone who enters your home. You may also consider either of these patterns in a seamless indoor to outdoor presentation. Everyone’s preferences are different, and as some of us prefer the more classic and symmetrical look, others prefer mixing things up a bit to create something unique and exciting! One of the more popular tile trends happening today in interior design is to mix vintage with subway tiles–for instance in a bathroom–vintage for flooring, and subway for the shower. You could also throw in a third design to accent the shower pan and shampoo niche. Another example in a kitchen would be accenting the island base and backsplash with subway tile and installing vintage distressed faux wood tile for your flooring. Mirrored subway or hexagon patterns are also popular for both kitchen and bathroom, as are metallic tones. Mixing materials such as concrete, wood, and marble is also a popular trend–as is mixing matte and gloss finishes. The world of tile design is endless and can sometimes be overwhelming when deciding what will be best for your home. When working with your general contractor/ construction company in Las Vegas–and whether your project is kitchen renovation, bathroom renovation, or renovating another part of the home, be sure to discuss the trendy tile options available to you. Your Las Vegas contractor can arrange meetings with you, your project manager and the vendor and visit showrooms to help narrow down your choices.